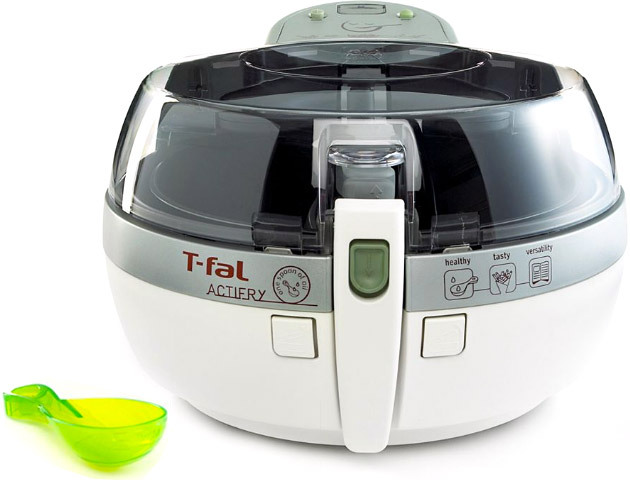 T-Fal presents a deep fryer designed to cook a variety of delicious foods with little or no oil. The Actifry Multi-Cooker ($240) is an innovative low fat fryer that employs Heat Pulse technology and a unique stirring paddle to ensure even distribution of the oil on each piece of food. The result: fried dishes so tasty and crunchy, you'll want to skip a trip to your favorite fast food.